In a statement from inside Downing Street today, the Prime Minister said leaving the EU with a deal is still the best solution. Mrs May said she will yet again ask the EU for an extension to the Brexit deadline to “break the joglam” in Parliament. Mrs May also said she will meet with Labour leader Jeremy Corbyn to try and come up with a plan they can both agree on. How long will Brexit be delayed for? 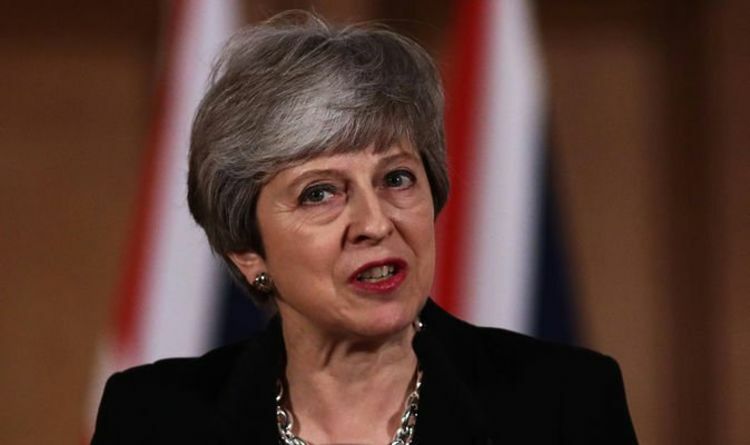 The Prime Minister said the extension to Article 50 should be "as short as possible” and before May 22 so the UK will avoid taking part in the European elections which will start the following day. In her statement today, Mrs May said: "Today I'm taking action to break the logjam. "I'm offering to sit down with the leader of the opposition and try to agree a plan that we would both stick to to ensure we leave the EU and we do so with a deal. "Any plan would have to agree the current Withdrawal Agreement - it has already been negotiated with the 27 other members and the EU has repeatedly said it cannot and will not be re-opened." The UK only has until April 12 to propose a way forward on Brexit to the EU, if not Britain risks crashing out of the EU without a deal. Originally, the UK’s divorce from the institution across the pond had been planned for March 29. But the Prime Minister agreed to a short extension as a deal had not been agreed by the deadline. Mrs May also declared she will attempt to strike a compromise with Mr Corbyn in her Downing Street statement, but warned this would have to include her current Brexit deal. In the significant development the Prime Minister promised to abide by whatever proposal for the UK's future relationship with Europe gained a majority in Parliament, so long as the opposition did the same. In doing so, she effectively ruled out the chance of Britain crashing out of Europe without a deal. The Prime Minister said: "The ideal outcome of this process would be to agree an approach on a future relationship that delivers on the result of the referendum, that both the leader of the Opposition and I could put to the House for approval and which I could then take to next week's European Council. The statement came after the cabinet met for eight hours in No 10.